At The Brod Law Firm, we believe in partnering with experts in everything from accident reconstruction to physical rehabilitation in order to help our clients. It appears that we have a new set of partners in our work as your San Francisco bed bug infestation law firm – and they have four legs. Given the ever-rising number of bed bug infestations in our region, we’ll take the help! KRON reports that one local pest control company has turned to specially trained dogs to help sniff out bed bug infestations in the Bay Area. A representative from Round-the-Clock Pest Control told reporters that they are using bed bug sniffing beagles to find the troublesome pests. The dogs are specially trained to smell live bed bugs and then scratch to alert their handlers when they find them. In a Joint Statement, the Centers for Disease Control (“CDC”) and the Environmental Protection Agency (“EPA”), explain that bed bugs have been around throughout our nation’s history, but their numbers dropped dramatically in the mid-20th century. However, the U.S. and a number of other nations are seeing “an alarming resurgence” in bed bug populations. Experts suspect this may be tied to an increase in travel (both domestic and international), the insects’ increasing resistance to common pesticides, a lack of knowledge about the pests, and decreased or eliminated pest control programs. The EPA and CDC consider bed bugs a public health issue. Although they are not known to transmit disease, the agencies note that they can cause a number of negative effects on physical and mental health. Allergic reactions to bed bugs can be severe and, in rare cases, include anaphylaxis. Bites can develop secondary infections including impetigo, lymphangitis, and ecthyma. Additionally, the mental health consequences of living with a bed bug infestation can include insomnia, anxiety, and systemic reactions. As a leading Northern California bed bug law firm, we have seen how difficult it can be for residents to get the help they need, deserve, and are legally entitled to from landlords and/or property owners. All too often, landlords turn a blind eye to tenant reports of bed bugs which not only causes the problem to continue, but can cause the infestation to worsen. It is often ineffective to treat only one unit so tenants cannot handle this problem alone. Do not feel embarrassed if bed bugs attack your home. It is not your fault. 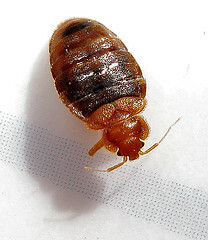 If you are a Northern California renter and your landlord/property owner is unresponsive or fails to respond effectively an infestation, call our bed bug lawyer in Oakland, San Francisco, or Santa Rosa. Attorney Brod has experience working with both individuals and tenant groups and can help you get the response you need so you can be free of these troublesome pests.